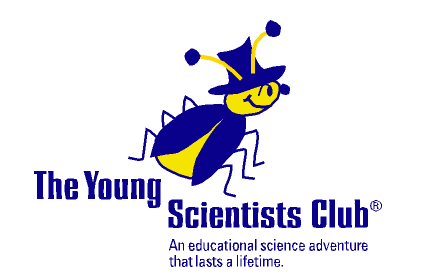 Dad of Divas' Reviews: Young Scientists Club Kits Make Science Fun! For children between the ages of 5 and 12 to develop a love for science by exploring science through exciting and thrilling experiments that will spark an interest in future scientific endeavors. Complete kits (shipped once or twice a month – your choice) filled with materials such as chromatography paper, owl pellet, minerals, magnets, mirrors, thermometers, rulers, pH paper, brine shrimp and much more! Young Scientists will use the special instructions given by Celsius the Science Bug to explore the exciting world of science with topics such as magnets, weather, minerals, batteries, planets, stars, senses, acids and bases, forces, tornadoes, human body,volcanoes, and more (36 topics in all). Easy to follow adult instructions are also included (adults with no science background will find the kits as easy to use as adults with advanced science degrees). Hours filled with science experiments, learning, and fun! Young Scientists experience science in a fun and hands-on manner with our multiple award-winning science kits and receive an edge with this Educational Science Adventure That Will Last a Life Time! Several science kits arrived of various subject matter: minerals, acids and bases, and understanding ball and socket and joints. I am choosing to tell you about the kit about minerals (Kit #7) for this review. The kit included excellent step by step directions ,charts, all the materials were labeled in small baggies. The experiments were divided into sections that were easy to follow. There were some materials you needed to provide that were not included and they were listed in the beginning. I would encourage you to read through the beginning segments so you can have those materials ready. I used this kit on minerals with my girls. They enjoyed the activities but the concepts were difficult for them to understand. They are 5 and 8 years old. We concluded all of the experiments with the materials we were given and had to supply. I would recommend that the kits be used with older children due to the complexity of the concepts. Adults need to supervise the experiments and assist the children with the steps and concepts. The kits are developed very well and parents of older children will find them appropriate for your children, especially those children who enjoy science. It is also a wonderful way to introduce science concept to your older child. You never know what may "turn your child" onto science.